Besides being a downright gorgeously branded cigar, the Caldwell Hit & Run is special because it’s a collaboration between two titans in the cigar industry: Matt Booth and Robert Caldwell. That this is a collaboration project is in fact evident on the branding itself. If you look at the band, you’ll notice the Room 101 logo on the main band, with the Caldwell bike wheel sandwiched between the 1s on the secondary band. I was excited going into this review for two reasons. First, I’ve always been a big fan of Room 101 cigars, most especially the Uncle Lee which is a hard smoke to find these days. Second because Caldwell seems to have followed in Room 101’s footsteps of becoming an insanely popular boutique cigar company. The Room 101 Hit & Run is one of the most spectacularly well-branded cigars I’ve ever seen. The band features the spire-like Room 101 logo set on top of a gold-trimmed cream colored band. For the band, the company used a nice, heavy and textured paper which adds an additional sense of luxury to the cigar. The outer Ecuadorian Habano wrapper has minimal veins and a standard light brown look. Off of the foot are light but easily discernible notes of coffee beans, hay, bread, light cedar and some milk chocolate. The cold draw (which clocks in at about a 7/10 in terms of level of restrictiveness) delivers notes of old leather, lingering spice, and some granola. After a bit of difficulty getting this cigar lit because of some pesky wind, I finally light up and what an interesting introduction. 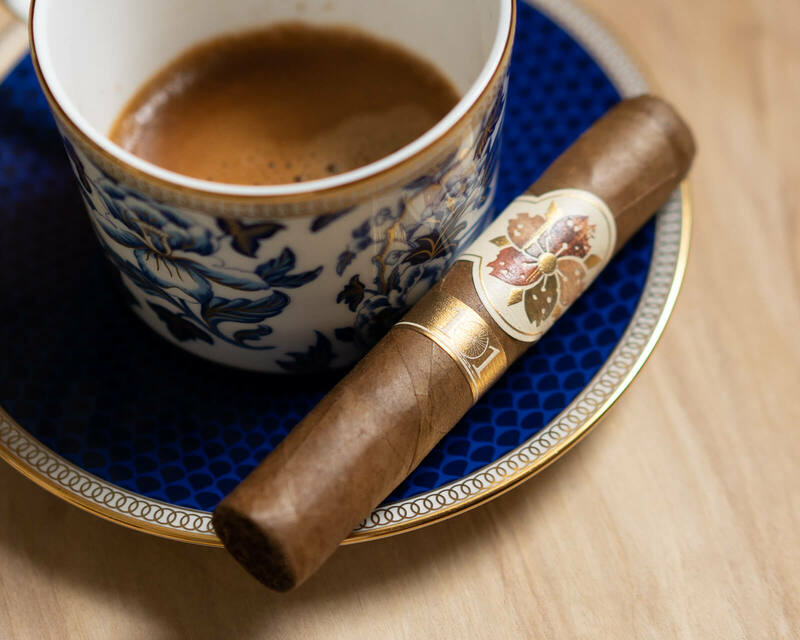 The cigar kicks off medium in body and strength, with a nice balance between sweet, salty and bitter core components. There’s a bit of cereal, light leather, woodsy notes, touches of nutmeg, red pepper, salt, and toasted bread. It’s a lot going on and I’m surprised by how such light notes come together to create such a full feeling profile. The retrohale is medium to full with toasted bread and red pepper. On the construction side, smoke production is excellent, and the burn is mostly straight at the one inch mark. As the cigar enters the second third, the profile has shifted to become much more spice dominant. It’s not quite as complex as the first third, favoring red pepper and dry cedar, with an occasional vegetal note popping in and out. The nose is great though, featuring toasted bread, cinnamon, cedar and light floral. By halfway, not much has changed, though the profile overall has shifted to become a bit sweeter. This is an improvement. As much as I enjoy wood and spice notes, they’ve often felt a bit too strong up to this point. 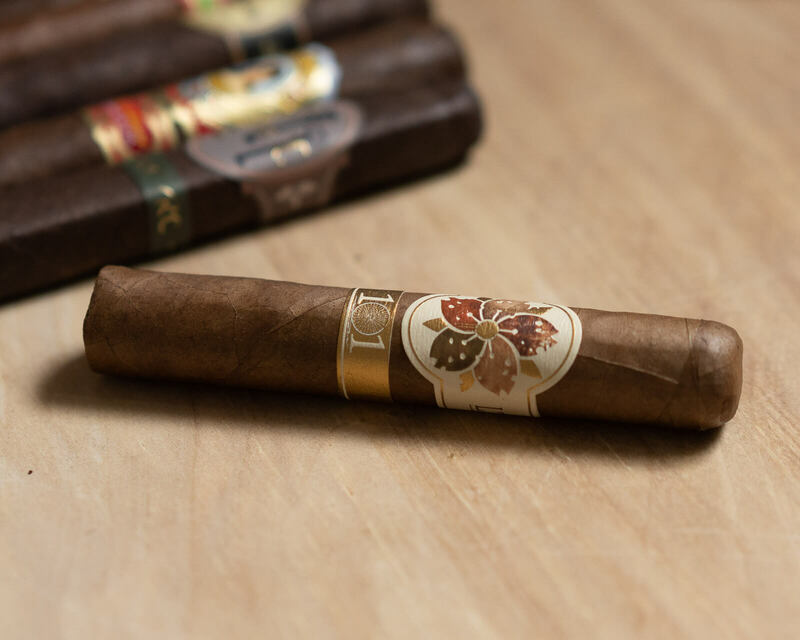 In the final third, the heat of the smoke begins to pick up steadily, and the red pepper remains dominant with the more complex elements of the cigar struggling to shine through. A bit disappointing given how enjoyable the first third of the cigar was. The Hit and Run is an enjoyable cigar but not one I’ll be returning to. It showed a lot of promise off the bat, but the complexity of the first third was generally overshadowed in the second and final third by pepper and dry cedar. A bit of a shame really, if only because this cigar is so much fun to look at.